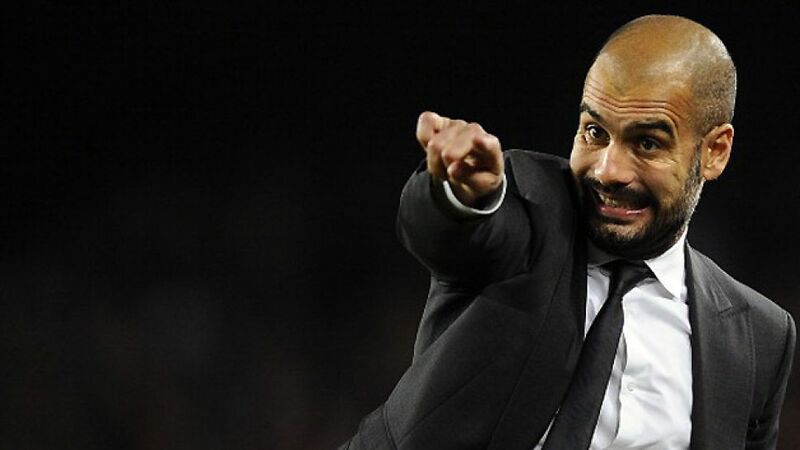 Munich - He is already one of the most successful coaches in footballing history, and from the summer of 2013, Pep Guardiola has the opportunity to add to a truly astounding haul of 28 trophies as a player and coach when he takes up the reins at FC Bayern Munich. His arrival is further confirmation, if any were needed, of the attraction that the Bundesliga now boasts as Europe’s fastest-growing league, and marks a new challenge for one of the game’s true greats. Born in Santpedo, near Barcelona, on 18 January 1971, Josep Guardiola i Sala's footballing journey began in 1984 when he joined the club’s academy at La Masia as a 13-year-old. Developing in the youth teams, he was then promoted to the first team aged just 19 by newly-arriving coach and Dutch legend Johan Cruyff, a disciple of the ‘total football’ operated by the Netherlands in the 1970s. Cruyff employed Guardiola as Barcelona’s fulcrum in defensive midfield and the local lad became perhaps the most pivotal player at the club over the next eleven years. He appeared in 479 games for the Catalans, with his greatest on-pitch triumph perhaps coming in 1992, when he and the rest of Cruyff's ‘Dream Team’ lifted Barcelona’s first-ever European Cup at Wembley. He ended his playing career in 2006 after spells in Italy, the United Arab Emirates and Mexico, but was back in the game just a year later, taking charge of first the Barcelona B team and then the senior squad in 2008. It was there and then that he took Cruyff’s footballing philosophy to new heights, focusing on retention of the ball and high-energy pressing - tactics that helped bring Barcelona two glorious Champions League wins in 2009 and 2011 and gained his team the label of the best club side ever seen. In just four years as coach of the Catalan club he added three Spanish La Liga titles, two Spanish Cup triumphs, three Spanish Supercups, two UEFA Champions League titles, two UEFA Supercups and two FIFA World Club Cups to his considerable haul of trophies he won as a player: six La Liga titles, two Spanish Cups, four Spanish Supercups, one European Cup, a UEFA Cup Winners' Cup, two UEFA Supercups and an Olympic gold medal. That’s 31 in total counting his Gold Medal at the 1992 Olympics. But that was with Barcelona and that chapter is now over. This part of his career concerns Bayern and the Bundesliga, a destination that may have surprised a few people but which is really the perfect fit for him. With the Reds’ reputation as a well-run, family-like and traditional club, with an emphasis on producing home-grown talent, Guardiola has truly optimal conditions in which to bring success to Bayern and prove himself yet again. Europe’s best league is now even better.